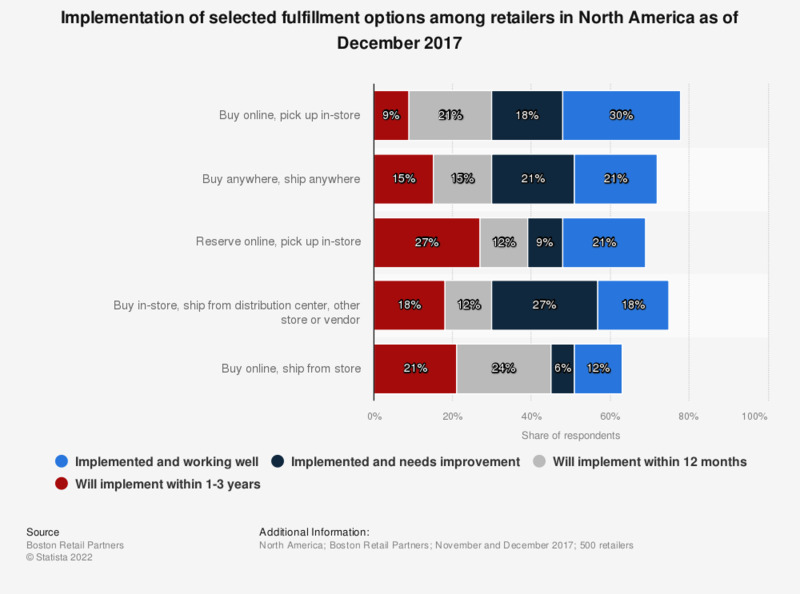 This statistic presents the current implementation of selected fulfillment options among retailers in North America as of December 2017. During the survey period, 21 percent of responding retailers had implemented buy online, ship from store as an option and it was working well. Survey respondents were primarily vice presidents or C-level executives.